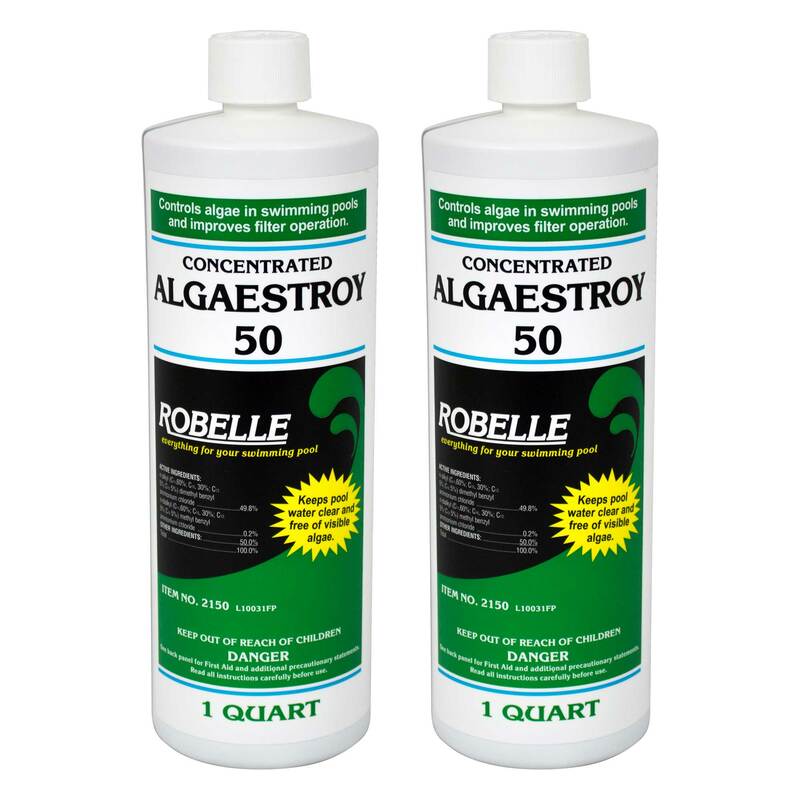 Robelle Algaestroy 50 is an excellent all-around algaecide treatment. 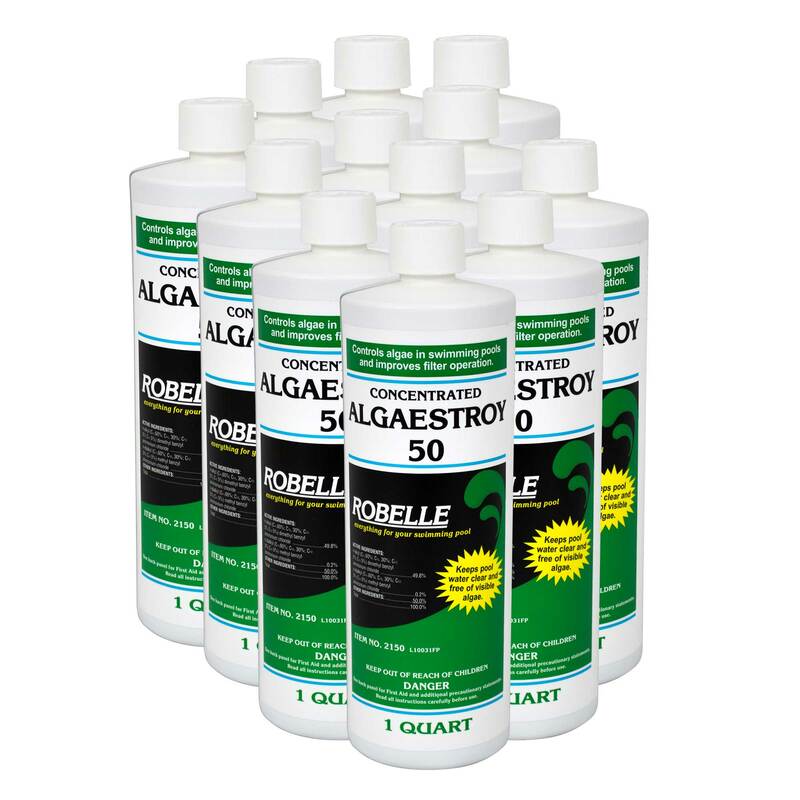 50% quaternary algaecide, this product prevents algae formation, destroys all types of algae, will not cause staining and controls algae slime in swimming pools. 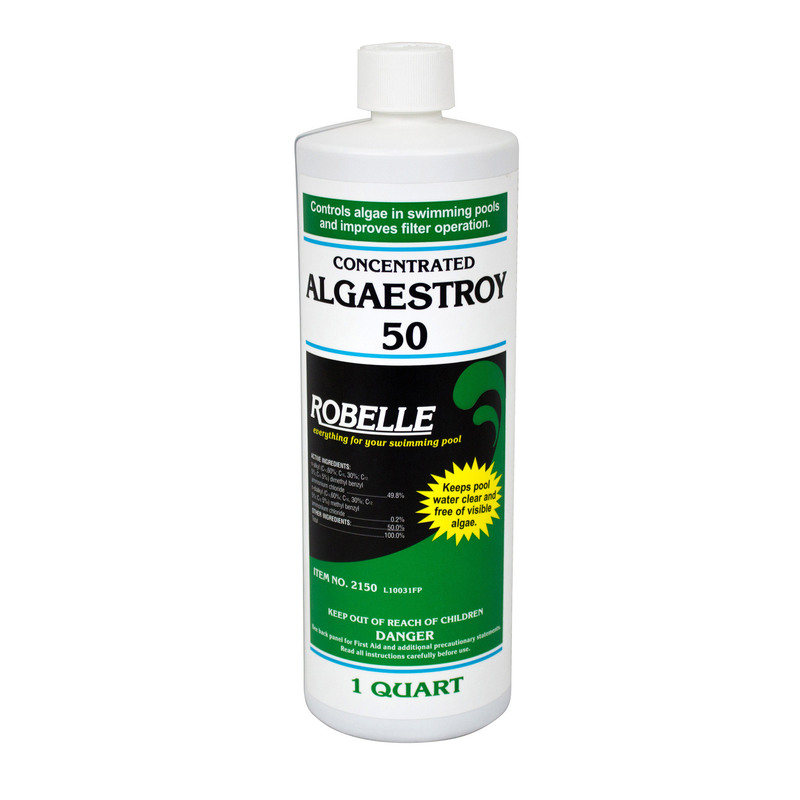 This product's concentrated formula is non-staining and leaves absolutely no residue. 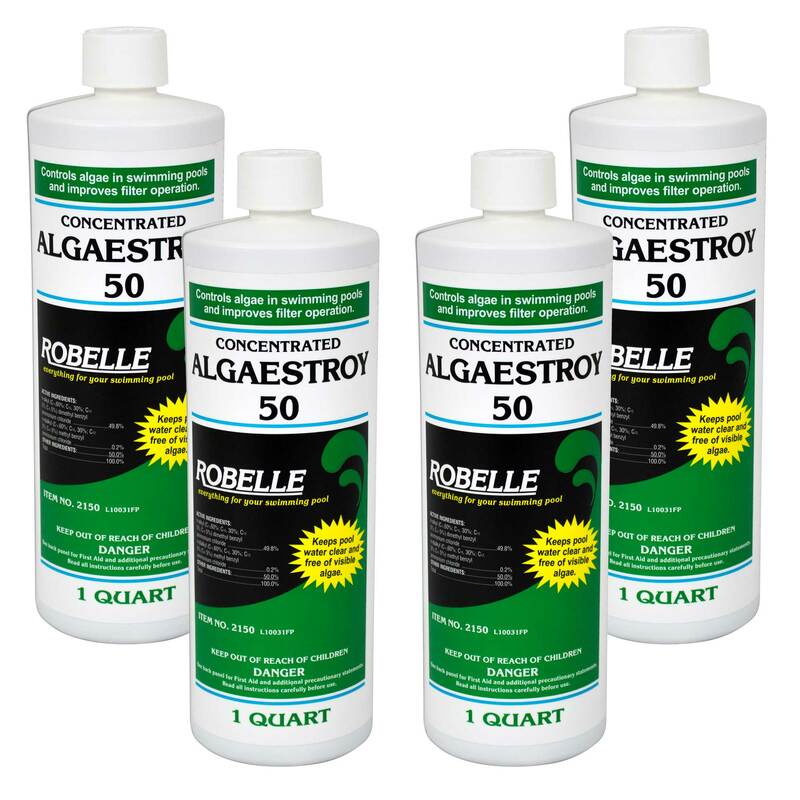 Whether you want to kill existing algae blooms or simply prevent future algae growth, Robelle Algaestroy 50 is an excellent value. Swim right after treatment. For use in gunite and vinyl pools. Dosage: Use 1.4 oz. for every 10,000 gallons pool water for maintenance each week.